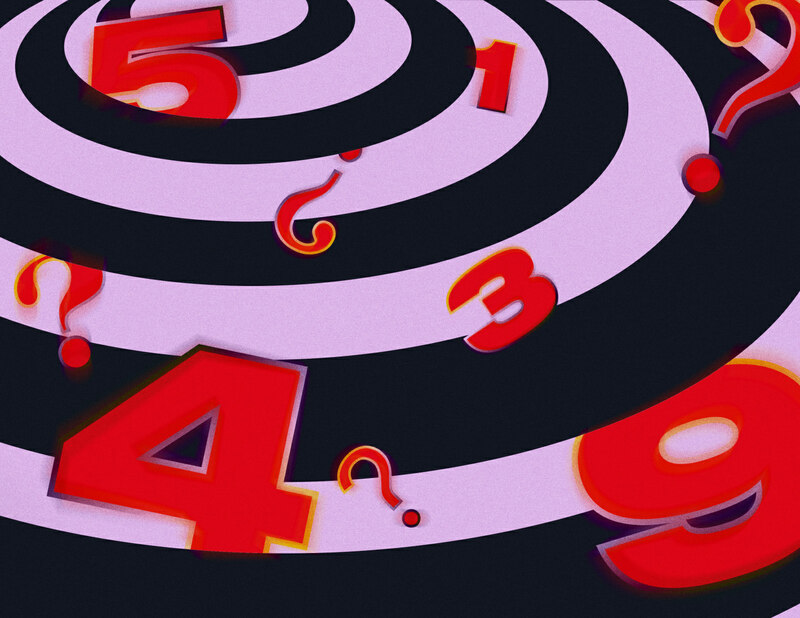 The case for treating numbers as sacred points. More and more mystical-adjacent practices and interests like astrology, palm reading, tarot, witchcraft, and crystal appreciation have shed their associations with the grim or otherwise taboo occult and entered the sparkling world of femme-coded wellness and spirituality. Kim Kardashian West recommends her favorite crystals on her app; Gwyneth Paltrow’s Goop marketplace sells $1,500 Pisces necklaces; Apartment Therapy offers house-themed horoscopes on a regular basis. It is easy to see why these practices have become so popular among new people: they offer both elegant forms of self-identification and endless opportunities for merchandising those revelations. This is not a value judgment; most modern belief systems necessarily court the one with the other. Numerology is, perhaps, not as obvious of a “system.” There is no moodboard of eye-catching visuals associated with it, no system of categorization ready-made for meme formatting and parody Twitter accounts. It’s reminiscent more of a genre of vaguely and/or actually clinical quizzes and exams, such as the Myers-Briggs Type Indicator, than other rebranded spiritual practices. But vestiges of its divine symbology persist in other forms, oftentimes in ways that, at least on the surface, diverge sharply from other modern twists and embraces of new age-coded practices. And as more and more people seemingly seek out “alternative” guidance and meaning, numerology offers yet another belief system whose potential yields as much as you give into it. Most sports players and fans keep a roster of iconic jersey numbers. Beyond the more rigorous numbers game of sports statistics, some sports fans have touted numerological practices as ways to explain or hope for favored outcomes. One “elite numerologist,” known as Gary The Numbers Guy, claims he “has been accurately predicting the outcomes of major sporting events using Numerology for over a decade.” Elsewhere, the number thirteen is equally feared and revered around the world; some hotels still “skip” a thirteenth floor, while Taylor Swift has famously embraced it. Gamblers have their own numbers mythologies, including the persistent cultural memory of “lucky sevens.” The “27 Club,” a liturgical recasting of high-profile pop culture icon deaths, is yet another numeral etched into the public imagination. Meanwhile, JAY Z and Beyoncé have an ongoing public fascination with the number “4”: The former’s thirteenth album is named 4:44; the latter’s fourth album is more simply, 4. Both of their birthdays land on the fourth of the month, while their wedding anniversary is April 4. Bey even famously rocked a Roman numeral 4 tattoo on her finger before getting it changed to represent the numeral 4. And of course, 4 is present in first child Blue Ivy’s name — IV. And Cardi B recently tweeted that, for her, that number of significance is 11. “I was born on the 11 my grandma died Nov 11 my grandad died January 11 and i been catching 11:11 all week Am and PM,” she wrote. These examples are and aren’t representative of the different ways numerology can be used. Though the sixth century BC Greek philosopher and mathematician Pythagoras is rightly known more for developing practical processes like the Pythagorean theorem, his contribution to what would become numerology was the overarching concept of associating numbers with ideas and outcomes. That association of numbers with letters remains to this day with his namesake Pythagorean numerology, which assigns and calculates meaning and futures projections based off of your full given name and birth date. (Chaldean numerology, another popular form, reportedly comes from the ancient Babylonians.) Both systems, despite their distant origins, were reportedly only recently popularized by a Dr. Julia Stenton, who was supposedly born in 1862 and paved the way for an early 20th century numerology rebirth. It’s one such modern writer, a Mrs. L. Dow Balliett, who is credited with coming up with the actual associations behind Western numerology (as well as adding Biblical significance) in a series of texts published in the 1910s. In pop Pythagorean/Western numerology, your numerological report — which offers insights like your “life path number” and “karmic debt number” — is calculated from the letters of your full name and the numerals in your birthdate. Those figures are systematically added and arranged together until they become single digits. 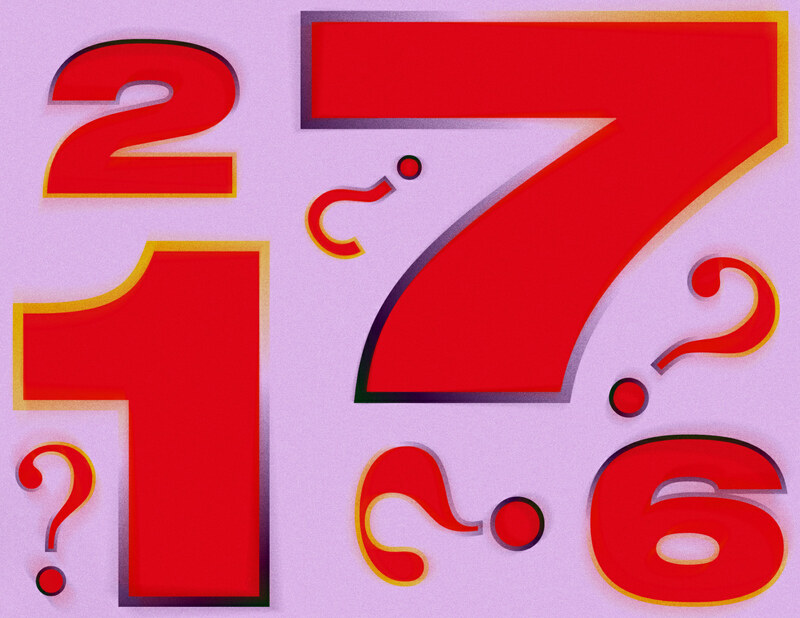 Along with your “expression/destiny number,” “day number,” “personality number,” and “soul number,” which are all calculated differently, numerology offers a way to interpret and assign meaning to every part of your life. You don’t need to know how to do anything other than add — and even then, you can leave the addition to a form on a website — in order to build your full numerological report, which can be as thoroughly arcane yet illuminating as any other mystical feedback loop. People memorize the sky around their birth and the movements of the stars... Why not consider numbers as similarly sacred points? This version of numerology is easy to access, but if it seems as though it’s exclusive of non-Latin languages or cultures, that’s because it is. For example, not all numbers are expressed as numerals, and the additional context and history of different cultural numbers can have a strong impact on how they’re received. There are more instances of these homonym-based numerical cues. The character for four 四 (sì in Mandarin; sei in Cantonese) is one with the character for death, 死 (sǐ in Mandarin; séi in Cantonese). These linguistic tics, also mirrored in Japanese, feed into a numerology that’s based on synonymous association versus the figures themselves. These cultural/numeral translations matter: Bey and Jay’s fascination with “4” then reads as morbid. But beyond “formal” numerology, these many disparate cultures have somehow long since converged around and agreed upon the significance of numbers outside of the count they provide. People memorize the sky around their birth and the movements of the stars, or the literally arcane suits of tarot, or the auras and intentions fixed to certain stones. Why not consider numbers as similarly sacred points? It’s the case, after all, in mathematics.